While there are no magical solutions to turn back the clock, there is a way to improve, maintain and protect your skin. 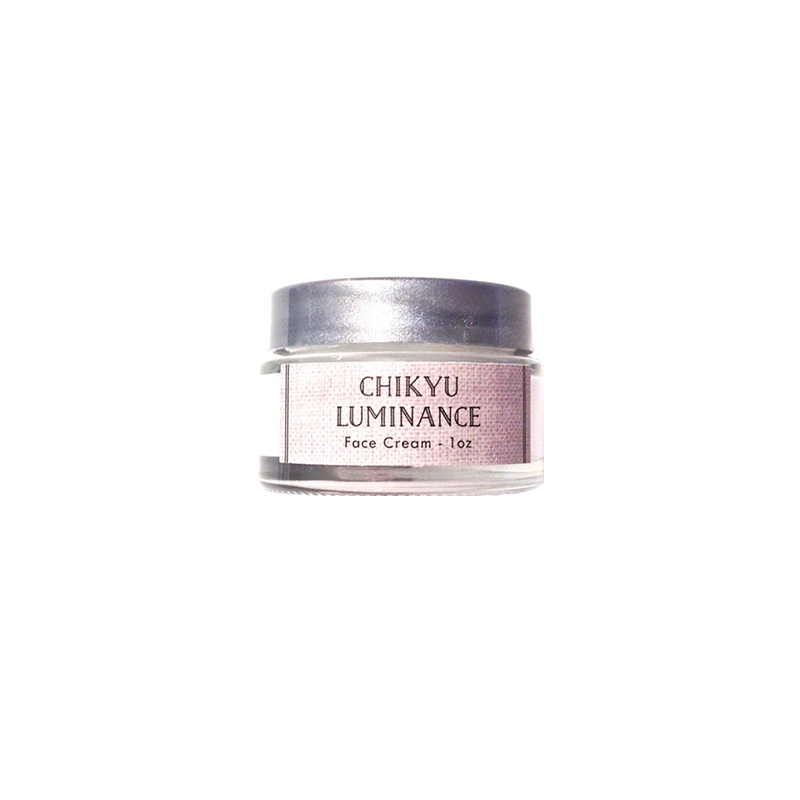 CHIKYU has done this by creating Luminance; a lightweight, lavish and fast absorbing day cream formulated with superior, active ingredients such as Mulitifruit BSC (a natural fruit acid blend aka Alpha Hydroxy Acids), Hyaluronic Acid and Pseudo collagen. Together, these three natural active ingredients work in sync with a powerful blend of organic botanical extracts to aide in improving the skins elasticity as well as renew the radiance of the skin. Skin is instantly soothed, hydrated and rejuvenated. Over time, skin looks softer, firmer, more radiant and lines and wrinkles less visible. ♦️Excellent for normal/dry, dry and mature skin. Not recommended for Blemished or Acne Prone Skin. *** This face cream does not contain any fragrances to hide or mask the earthy and woody scents of some of the pure essential oils contained in this cream. Directions for use: Apply just a dab (a little goes a very long way), AM/PM to cleansed face and neck. ✔️Please check product ingredients for any known allergies before making a purchase to avoid allergic reaction. Remember, only you know your body! *Certified Organic Ingredients, Vegan, Non GMO, Gluten Free and Alcohol, NO Parabens, Phthalates or Petrochemicals. – Alpha-Hydroxy Acid (Multi-fruit BSC) is from the Billberry Plant, Sugar Cane and Citrus. These gentle, yet effective AHA’s refine surface texture and promote smoother, radiant looking skin. – *Calendula Oil has long been recognized for its excellent regenerating properties its skin softening properties. – *Carrot Seed Essential Oil is considered to be one of the best oils to rejuvenate and regenerate skin tissues. It helps to remove toxic build-up in the skin, improving the skin’s complexion. It can be used to soothe burns, blisters and scars; and is considered suitable for all skin types, especially dry and mature aging skin. Moreover, it is very high in both vitamins and minerals. – *Frankincense Essential Oil is highly prized as is considered to contain remarkable anti-aging, rejuvenating and healing properties. – -Pseudocollagen is yeast derived (plant based) and consists of a moisturizing complex of sugars and proteins. It has been demonstrated that Pseudocollagen has excellent moisture binding properties, making it especially suited as a soluble collagen replacement. In addition, the action of collagen imparts greater elasticity, thereby provides more resilience and a youthful look to skin. – *Vetiver Essential Oil is reputed to be beneficial for acne, cuts, eczema, dry skin, wounds, aging skin and irritated skin. Leaves behind a very earthy, woody scent. ☀️Sunburn Alert: This product contains an alpha hydroxy acid (AHA) that may increase your skin’s sensitivity to the sun and particularly the possibility of sunburn. Use a sunscreen, wear protective clothing, and limit sun exposure while using this product. 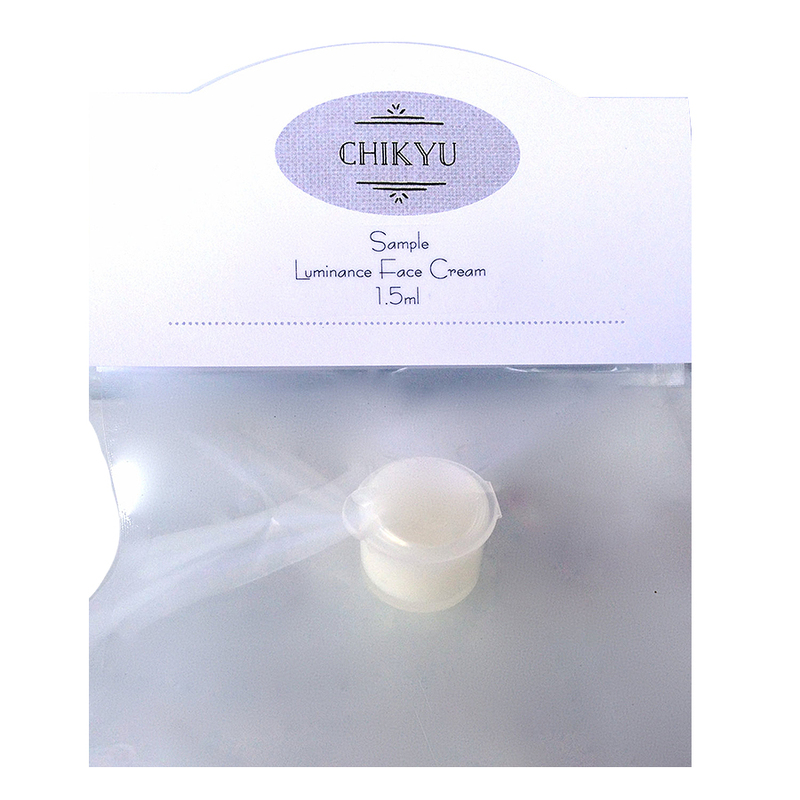 Each CHIKYU product is made with purity in mind. Therefore, products are made to order and handcrafted in small increments without the use of harmful toxic agents or chemically derived preservatives. Luminance Face Cream will sustain a shelf life of no more than 3 months from the date it was made. To sustain a longer shelf life, refrigeration is recommended. Once your product is made, an expiration date will be provided. Best stored away from direct sunlight. I like this, made my skin feel good, but I did feel like I needed another moisturizer after… Love the fact that you can order samples of products so that you can try them out!! 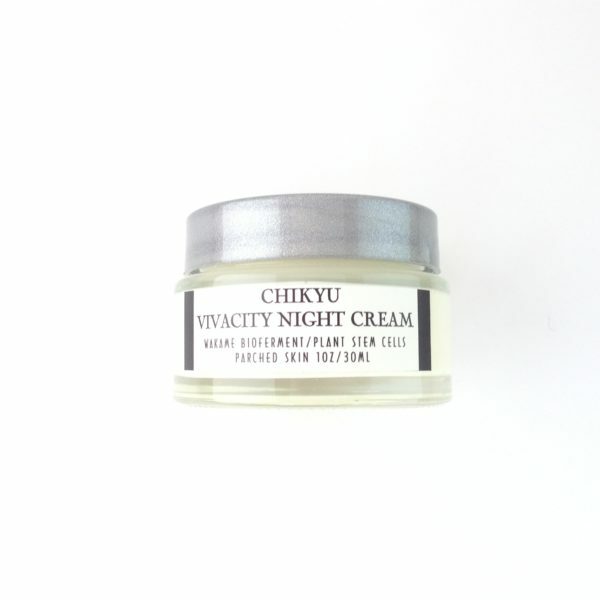 Although I mainly need my night cream with winter just around the corner this cream really helps. Sometimes with the colder nights my skin feels just a little dry in the morning (or after work) this cream is that little boost my skin needs. Great products as always. I have super sensitive skin combined with being a redhead. My daughter told me about Lynn and I was eager to try her products. I am amazed at how great my skin looks and feels after using her face creams and toner. I keep a jar of Longevity, Luminance, and Restoration in reserve so I will not run out. I am customer for as long as Lynn will keep making her awesome products! 2nd order—I love this day cream. It smooths your skin and is great under makeup! Chikyu makes the best stuff! Perfect as a day cream right before I put my mineral powder on! I’m using the Luminance cream as a primer. It absorbs so fast and my make up blend nicely. Also thanks for the generous complimentary samples. I loved them all. I’ve been looking for a face cream that wears well under makeup. This can be tricky, especially in the winter due to my dry skin. I used it this morning and it worked beautifully. Thanks for all of the amazing samples. So generous!